One of the big headliners at CES 2013 has just gone official, Project Shield is now the Nvidia Shield. Pre-Orders have gone live directly through Nvidia as well as through Canadian Retailer Canada Computers. 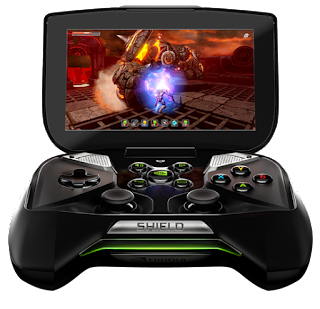 According to finalized specs the Shield has a 5-inch 720p HD multitouch display, Nvidia Tegra 4 Quad Core processor, 2GB of RAM, 16GB of storage (with MicroSD Card support), dual stereo reflex speakers, HDMI out and of course the hardware controller. 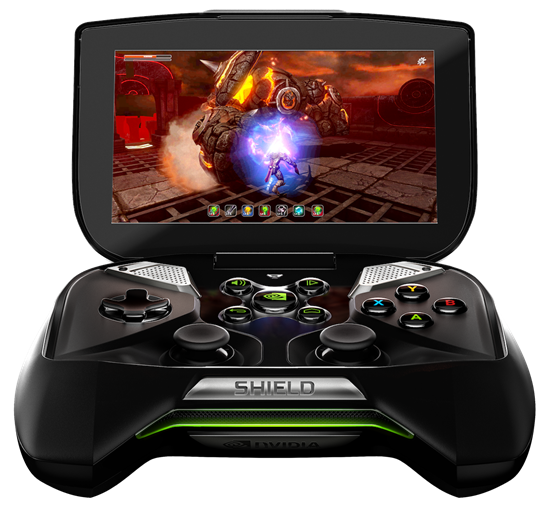 The Shield is running Stock Android 4.2.1, and it preloaded with Nvidia's Tegra Zone application which will feature all the Tegra optimized games, as well as allow users to connect to a computer equipped with a GeForce GTX (600 series or better) and stream PC games right to the Shield via . For now the streaming capabilities are marked as beta and the Steam Big Picture games and GeForce optimized games are probably not as many as Nvidia was wishing for. The Nvidia Shield is still quite an interesting device and we are working on getting our hands on a review unit.